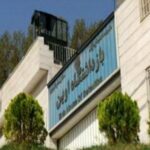 HRANA News Agency – The following list is the names of prisoners in different halls in ward number 7 of Evin prison who are detained and imprisoned with charges like “being in contact with conflicting governments” and “espionage”. Themajority of them has rejected the accusations and consider them to have political motives. 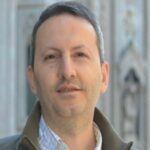 HRANA News Agency – Ahmadreza Jalali, an Iranian-Swedish researcher and doctor who has been detained with security charges, since last year, has been transferred to ward 240 of Evin Prison when he declared that he was on hunger strike. The following is the conversation with Ms. Najibeh Mortazavi, Ahmadreza Jalali’s mother, in which she explains Mr. Jalali’s physical condition and violation of this prisoner’s rights and his latest legal status.